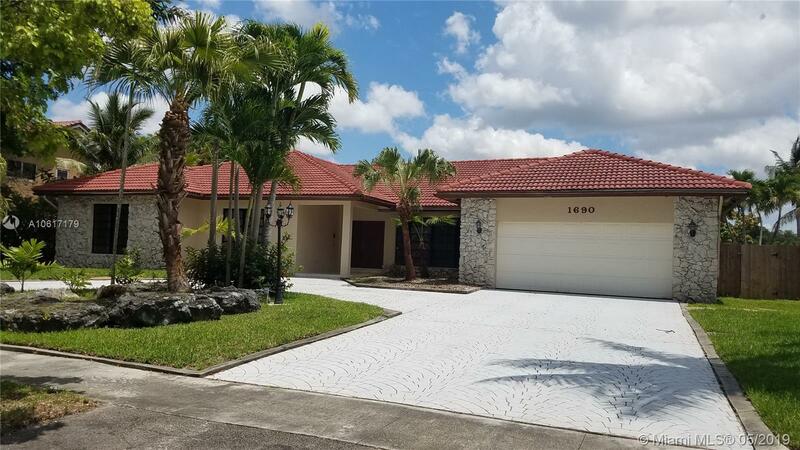 NO HOA-OPEN FLOOR PLAN - FEATURES DOUBLE DOOR ENTRY - WET BAR WITH WINE COOLER, JACUZZI AND SEPARATE SHOWER IN MASTER BATH, HIS AND HER CLOSETS - BEAUTIFUL MARBLE TILE. ROOMS ARE VERY SPACIOUS - KITCHEN FEATURES GRANITE COUNTERTOPS - ENERGY EFFICIENT KITCHEN APPLIANCES - BETTER QUALITY KITCHEN CABINETS - LOTS OF SKYLIGHTS. NEWER POOL PUMP AND AIR CONDITION. VERY RELAXING BACKYARD WITH AWESOME WATER VIEW. LOTS OF SPACE. FRUIT TREES - FENCED YARD. POOL WILL BE CLEANED. Directions: University Drive To Peters Road East, To SW 54 Ave South, To 53 Ave Right To The Property.